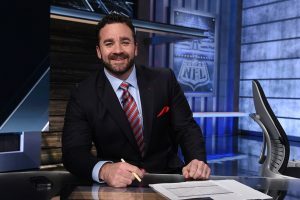 Indianapolis Colts great Jeff Saturday was this year’s main speaker for the 25th Annual Elkhart Prayer Breakfast on July 20th at the Elkhart Memorial High School in Indiana. Before he even began to talk, Saturday was greeted with a standing ovation as a salute to his career representing their state in the sports world. The audience really enjoyed hearing the NFL great talk about his career from a first person point of view, and he discussed a lot of his challenges as well as the things that he learned along the way. The Atlanta, Georgia native was a well-known football star during his high school years, which appropriately earned him an athletic scholarship to attend the University of North Carolina at Chapel Hill. Despite how well he did on the team and how high he was ranked among his athletic peers, Saturday went undrafted in the 1998 NFL Draft. However, in 1999 he got the attention of the Colts who signed him on the team that January. The six-time Pro Bowl player stayed with the Colts for 12 seasons before briefly joining the Packers’ roster just prior to his retirement. These days he works as an analyst for ESPN, which he enjoys because he is able to spend more time with his family. Saturday spoke at this year’s 25th Annual Elkhart Prayer Breakfast that happened earlier this month in Indiana and was able to inspire some of his long time fans as well as tell them stories from his interesting career. If your company is interested in finding out availability and booking fees for a former professional football player like Jeff Saturday, or other sports celebrities for a Keynote Speech, Fundraising Event, Guest Appearance, or Football Camp, call us at 1-888-246-7141.